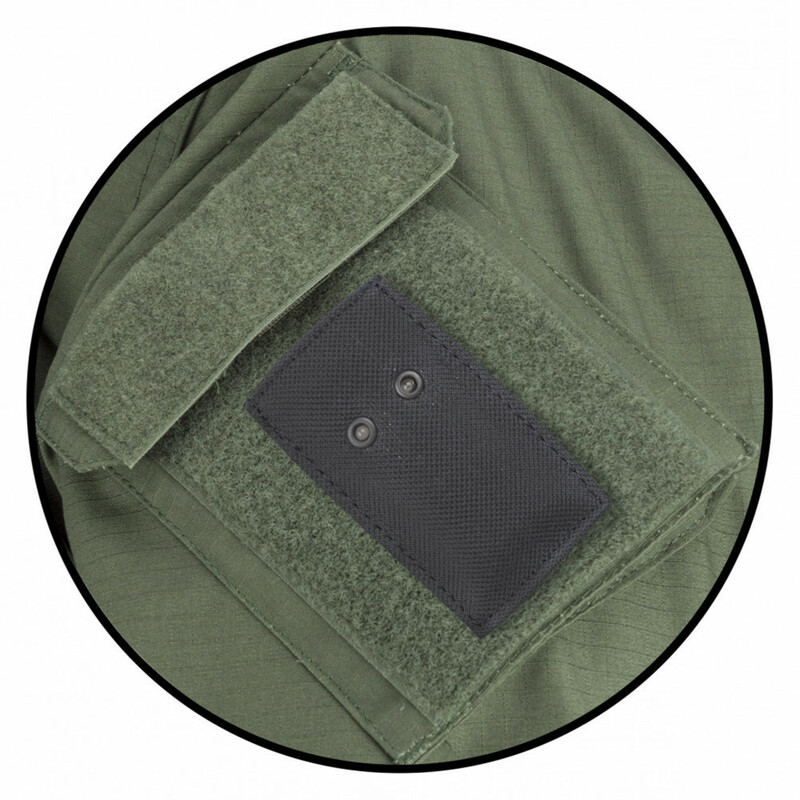 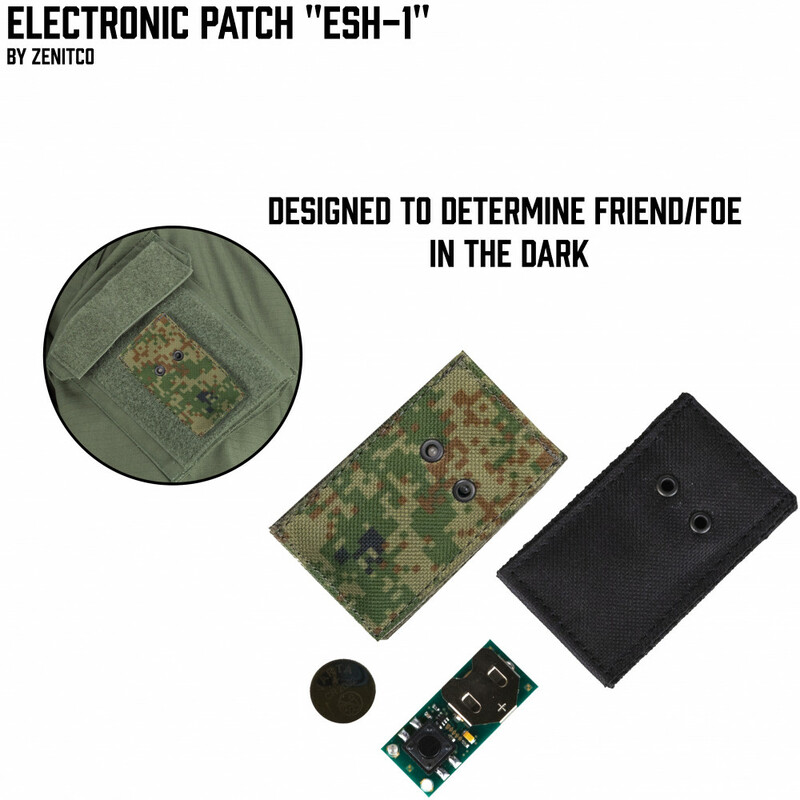 ESh -1 Electronic patch is developed to play the role of "friend-or-foe" identification device in case of night or in case of low visibility. 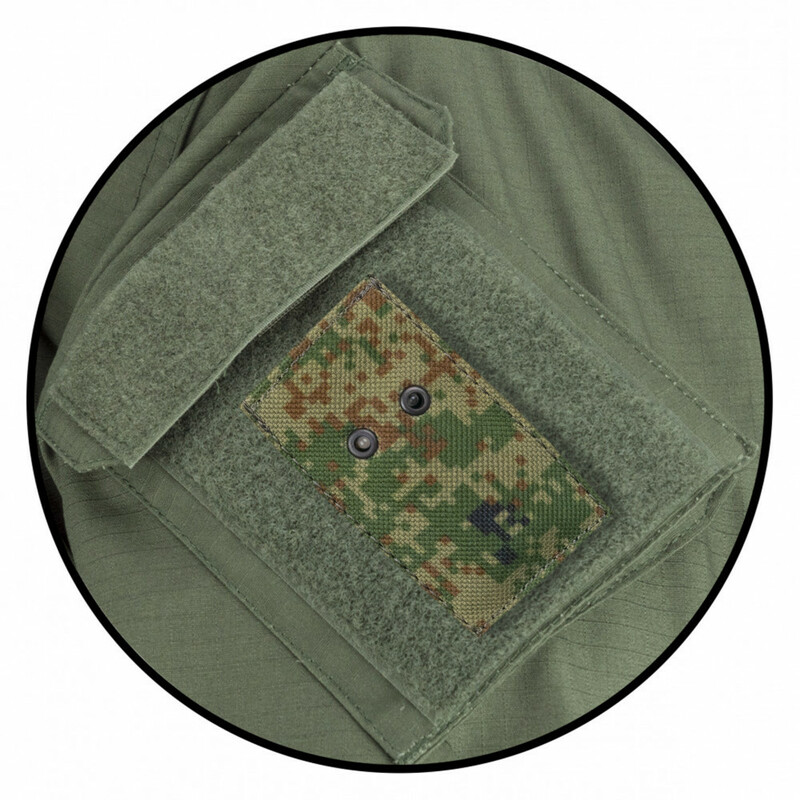 The kit contains fabric case with 2 holes , electronic board with 1 LED and 1 LED\IR lamp and the source of energy. 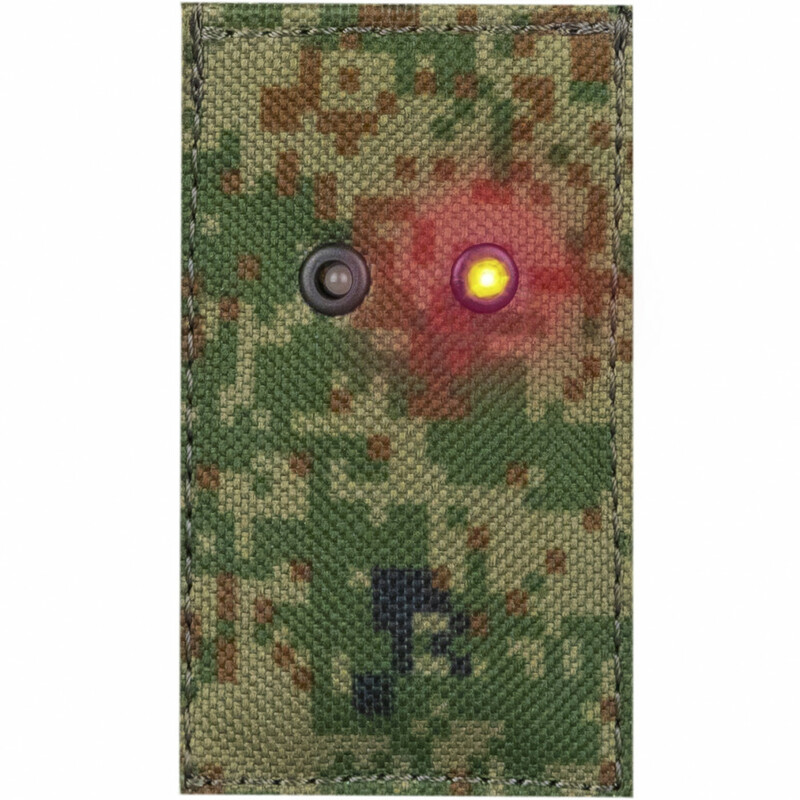 The patch may work in IR,Red or Green mode. 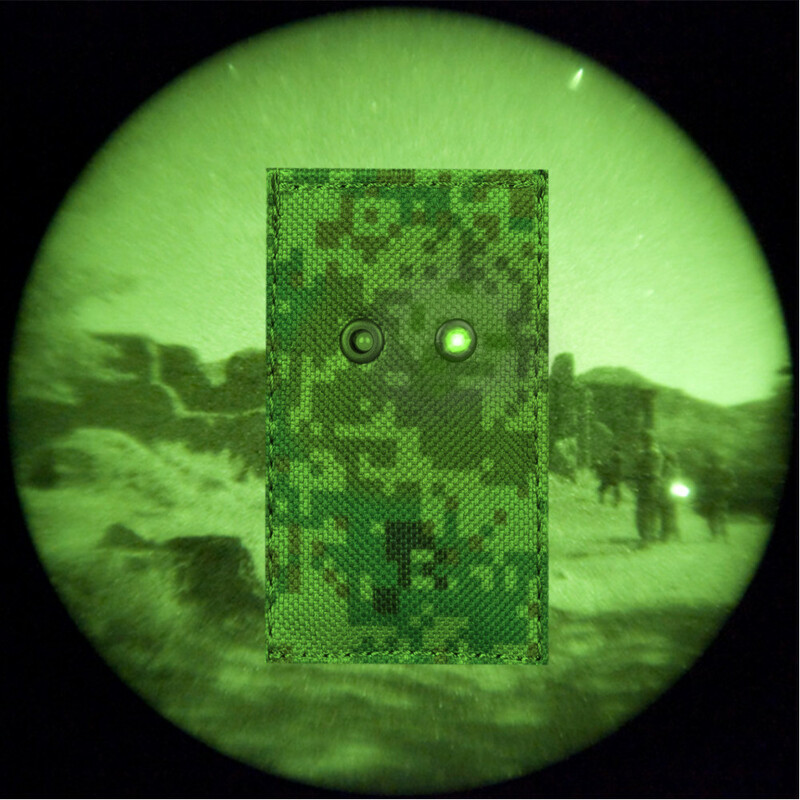 To turn on the patch and choose the working mod you need to press fast 3 times the bottom within 1 second and hold it. Red -slow pulsing red light. 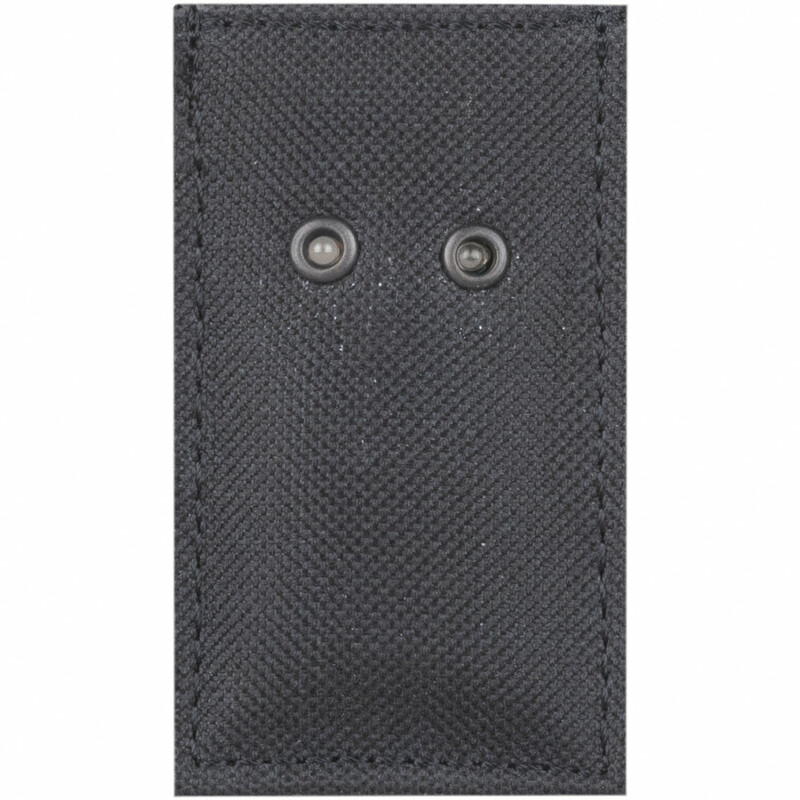 To turn the patch off you need to you need to press fast 3 times the bottom within 1 second and hold it for 2 seconds.